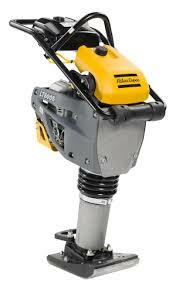 Atlas Copco LT5005 Jumping Jack/Rammer (6 inch) is available for rent in Rochester NY, Ithaca NY and Upstate NY from the Duke Company. Atlas Copco is all about making things easier for you. They’re rammers are suitable for work on both cohesive and granular soils. They are known for their ease of handling in all stages of operation regardless of frequency of use or condition. Looking for reliability? Look no further. Atlas Capco rammers are there when you need them.